Time to bring to a close this longer than expected (by me, when I started it!) mini-series on the fruitful exchange I’ve had recently in the pages of Social Epistemology with Ian Kidd, concerning Paul Feyerabend’s (in)famous “defense” of astrology and criticism of scientific dogmatism. (part I, part II, and part III here). This last entry will focus on my second response to Kidd, which has concluded our exchange, at the least so far. In the remainder of my commentary, then, I make a case for a reconciliation of the (largely analytic) tradition in philosophy of science and the (largely continental) one in science studies — for the benefit of both disciplines, of science itself, and even more broadly of liberal societies. I then characterize philosophy of science as the study of the logic of scientific discovery and theorizing, i.e., essentially as an epistemic effort, though informed by the history of science ever since Thomas Kuhn’s landmark Structure of Scientific Revolutions. (As in the recent edition of Feyerabend’s Against Method, linked in the first post, this one too has an excellent introduction by Ian Hacking.) I contrast this with science studies, which are by nature more sociologically, and even politically, inclined, focusing on science as a social activity and a set of power structures. The clash between the two approaches was perhaps most evident during the infamous “science wars” of the 1990s, which included the spectacular Sokal hoax. In those wars, philosophers of science were clearly on the side of science, while science studies scholars found themselves clearly (and unfortunately) in postmodernist territory. P.S. : given the unusual length of this mini-series, there will be no Plato’s Weekend Suggestions this week, in order to allow for further discussion of the Feyerabend-astrology issue. Plato’s Weekend will be back next week! This entry was posted in Massimo's Technical Stuff, Philosophy of Science on September 1, 2016 by Massimo. I still think the accusation of “dogmatism” aimed at Kurtz et al is over-done. As Massimo says, dogmatism is more about how one arrives at a conclusion than about the conclusion, and there isn’t space to put all of that in a short statement. I challenge anyone to come up with a 100-word statement that amounts of “astrology is pseudoscientific bunk” which does not sound as dogmatic as Kurtz et al’s letter. If the suggestion is that one should never state conclusions in a concise manner then that’s just silly. Well it’s true. Science is a mix of tools that have been adopted because they have been found to work. If some tools were found not to work that well, and others found to be better, then science would adopt those instead. Nothing about that, though, prevents anyone critiquing particular tools and methods currently used by science. … it was actually some Platonic ideal. Some are viewing Science in this manner – no matter its faults in practice – true Science rises above its baser aspects. No-one claims that science is perfect. As a human activity it will always be highly imperfect. The question is whether it is good enough, and to a large extent it is. Many of the methods of science are about coping with the limitations and faults of individual scientists. On outsider scrutiny: big science is expensive, and that means ongoing interacting with funders (governments). All the expensive stuff has to be justified and defended to politicians (as representatives of the public). It’s not clear that any wider pool of scrutineers would improve things, though I’d be interested to see any actual proposals for this. Further, all the big projects put extensive effort into public interactions, and the evidence is that a sufficient swathe of the public is indeed interested and supportive (e.g., picking some examples of space science: Pluto flypast, Rosetta comet landing, LIGO detection of colliding blackholes, lots of stuff about extrasolar planets, particularly habitable zone ones, etc). Wouldn’t dogmatism more essentially be sticking by a conclusion past its sell by date? Astrology and the various theisms might well be considered interesting and insightful speculative theories, thousands of years ago, so if one is insisting on sticking to them, when the evidence gets questionable, wouldn’t that be the original dogmatism? While rejecting them for facile or poorly reasoned arguments might better fall in the category of bias. Dear Astrodreamer. A strong test for season of birth effects is to compare N and S hemispheres. 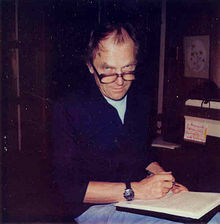 I may be wrong, but it seems to me that Feyerabend’s Against Method (1975) is regarded more favourably than Science in A Free Society (1978) – the review by his student Munévar of the latter lists many weaknesses that I think are natural extensions of these ideas of incommensurability and epistemic anarchy. For example “rationality cannot serve as an ‘objective’ arbiter of traditions, for it is itself a tradition” and “if the taxpayers want their universities to teach…astrology…then this is what they will have to teach”. This leads me to see the earlier defence of astrology in a less charitable light. Might it not be a classic case of overreach? Reductio ad absurdum. We probably shouldn’t be looking for perfect ideas, any more than we would look for perfect people to express them. Like a lot of things, there is a natural tendency to push ideas to their limits and than those promoting them taking a stand on the very edge, rather seeing the original context which made them useful. Meanwhile others use this overreach to disparage the entire argument, resulting in more heat than light. Sure “one” can state conclusions is a concise manner but “Kurtz et al” is not “one.” For you or I to personally give the opinion that astrology is bunk is fine. But for a group of scientists to officially declare (as scientists) that astrology is bunk, yes, I expect more than 100 words. I expect scientists qua scientists to show their work, calculations, data, test results, findings. etc. Any one of those scientists stating their personal opinion that astrology is bunk works for me. But as a group of scientists making an official; statement as a group of scientists on behalf of science I expect a properly scientific paper that would almost certainly require more than 100 words. It’s interesting to see that under the assumption that astrology is ‘false’ any demonstration that it has an influence may be presented as further justification to suppress it. Whereas this article demonstrates only that astrology has a positive effect, while having no direct bearing on astrology’s validity. Pointedly, or rather glaringly unmentioned, is the fact that the negative readings failed to produce negative effects! And conscientious daily horoscope writers, for whatever they are worth, are just as aware as any writers are of having some sort of effect with their words, make great effort to put a positive spin on their observations. Which is what makes daily horoscope copy characteristically peculiar. The argument as to whether the human sciences are sciences at all or even definitionally pseudosciences, continues. The question is ethical, one of overcoming the implicit circularity of mind explaining mind without dehumanization. Nor is there a there a clear line between pseudoscience and bad science. It is disappointing when philosophers well equipped to criticize methodologies and assumptions expend so much energy clutching their pearls over the slippery slope of traditional and fringe beliefs, rather than courageously confronting the many ways that scientists good and bad feed the blind maw of capitalism.
. I expect scientists qua scientists to show their work, calculations, data, test results, findings. etc. But the evidence that astrology (or other pseudosciences) is bunk is never of that sort, and it would be foolish to venture down that route. The evidence that they are bunk is always the lack of decent evidence that the believers have presented. It seems astrology is being framed as a quaint little new age fixation, rather than a relic of thousands of years of human speculative thinking. That it is the scientists who seem most fixated on its current status raises questions about their historical perceptivity. As far as assessing the validity of astrology, this seems reasonably simple to me. The way to do it, I believe, is to take whatever it is that astrologers theorize about reality, and then check to see if this seems to be the case. Note that while theists simply can’t be so disproven given the supernatural nature of their claims, that’s not the case for astrology. Thus astrologers do at least pass “the Popper test” (not that I have much esteem for it). Though I’m not entirely sure what’s being claimed here, I did notice something from the second video that viktorblasjo presented on the first day of this series. Here we had a guru sort of guy explain that identical twins provide tremendous verification for the soundness of astrology. His point was that these humans happen to be “identical” because of the coinciding times of their births and locations, not because of their genes. Of course we can easily demonstrate that it’s the genes rather than time/location which produces such similarities. Case closed? Personally I’m not all that bothered by beliefs such as astrology. Observe that most seem to believe whatever it is that they’ve been conditioned to believe, regardless of “evidence.” My preference would be for philosophers and scientists to first work on getting their own houses straight. When you consider Astrology sought to connect everything from astronomy to psychology, with just about everything else thrown in, it really was the original TOE. Almost makes the various theisms seem pale in comparison. As for our modern fields of knowledge, does math even understand the difference between abstract and foundational? For instance, is 1+1=2 foundational to reality, or an abstraction from it? The assumption seems to be that math is a window into the foundations of reality, not just the patterns we distill from it. Yet the above equation is just a tautological description of the process of combination. It is not the seed from which reality springs, but the skeleton that emerges, as the process calcifies. If space were fundamentally three dimensional, rather than this coordinate system being the most simple mental mapping of it, than why are straight lines and right angles so rare in space? It is just another form of idolatry to think math is platonic. The ideal is illusion, emergent from the mental process. They may have had good intentions, but I don’t think their target audience is going to be swayed by empty statements like that (to put it nicely), and moreover, in doing so they’re undermining the public’s respect of scientists. It is simply to state an inescapable fact that if society wanted their universities to teach astrology then that is what they would have to do. It is worth noting that societies do not want their universities to teach astrology. I think the context is more that there is no “principled” way (given Feyerabend’s totally relativist way of thinking) to argue for or against any position. It just so happens that rationality and science have the upper hand in terms of political power in the education system at the moment – just as church and state should be separate, so should science and state. The quotes about the worst enemy of science do seem to postdate publication of Science in A Free Society. Again this can be read in a charitable light – that internalist epistemology and rationalism alone cannot demarcate pseudo-knowledge from knowledge. Unlike the historian of medieval astrology who commented he thought it useful to study old mistakes and how they affect society, I don’t feel enthused with reading any more F. to dig out insights. You mean not of the scientific sort? Agreed. So why are scientists writing a paper about it? Right. But they did. They weighed in as scientists on something with no science or evidence. Right. Scientists work with data not the lack there of. Science should not more have a position on this than it does on purple dragons. It’s no different than releasing a paper that God does not exist. You mean not of the scientific sort? Agreed […] Scientists work with data not the lack there of. No, I do not mean “not of the scientific sort”. Discounting things for lack of evidence is just as much science as pointing to things because of evidence. It is entirely scientific to pronounce: “Followers of astrology have not provided anything like decent evidence for it, therefore it is pseudoscientific bunk”. In order to make any statement or claim about how things work one needs to be rejecting alternatives (whether implicitly or not). Their actual phrasing included things like: “Those who wish to believe in astrology should realize that there is no scientific foundation for its tenets”, which is what you just asked for. But, as above, excising unsupported beliefs (Occam’s razor) is a central part of science. I agree whole heartedly with that statement. I just consider it an intellectual opinion rather than a scientific statement. Again, why do scientists need to add the “therefore it is pseudoscientific bunk” part? Why not just leave it at “there is no evidence for that whatsoever” and let people decide the rest for themselves? I agree whole heartedly with that statement. I just consider it an intellectual opinion rather than a scientific statement. But, from my usual scientistic stance, I don’t see being “scientific” nearly as narrowly as some here. Why not just leave it at “there is no evidence for that whatsoever” and let people decide the rest for themselves? The definition of “pseudoscientific bunk” is stuff that people believe when there is no evidence for it, so adding that phrase simply repeats and emphasizes the point. Yes, one could omit it, but equally there is nothing unscientific about including it. Arthur Snyder seems to be absent. Hope all is well. But, as I have said, asking people to disbelieve bunk on the basis of some other bunk seems, well , self-defeating.